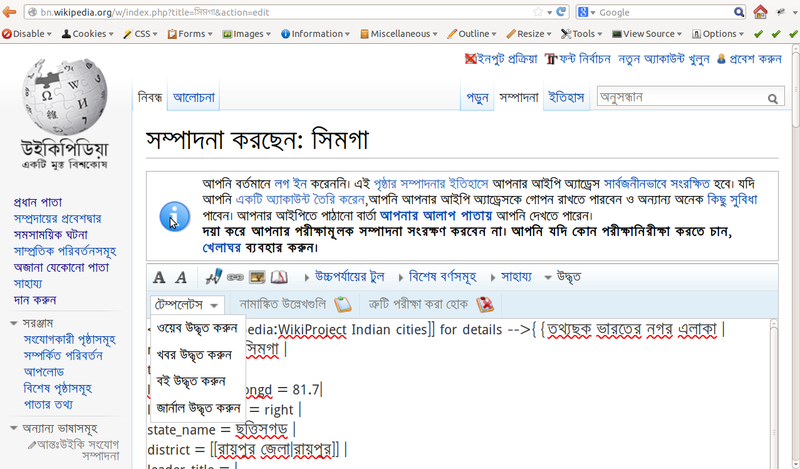 Well, I am happy to announce this good news for all my Bengali Wikipedians. After working on it for months, after several local implementations followed by User page implementation of the 'Cite' option, I have finally been successful in getting the option up on Bengali Wikipedia. Well, what this option is and how to get it up on any Wikipedia can be found here. From the list of admins on Bengali Wikipedia I found Jayanta Nath, who came to my rescue! After a little bit of convincing, Jayanta da was all ready to help me get this job done. I sincerely thank him for all his help. 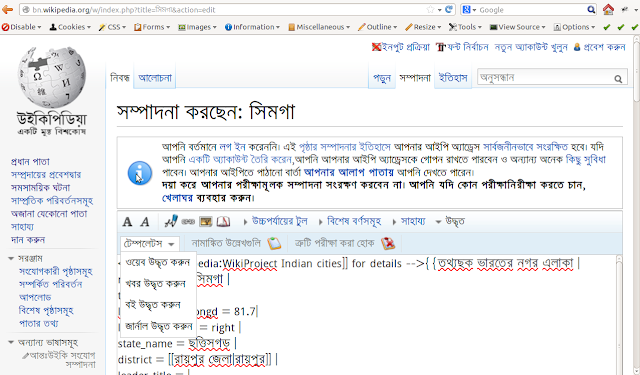 Now, all Bengali Wikipedia users will get the 'Cite' option on the edit toolbar just like the English Wikipedia editors. The job is yet not done, I need to get the same feature on a few other Indic Wikipedias. The convincing job is not always that easy. Some struggling is on to explain people that this actually works. Well, I hope I will soon be able to convince a few more admins and get this feature up on a few other Indic language Wikipedia(s). Nice. When you figure out what are the convincing arguments, please summarise them on a mediawiki.org manual page and, if possible, also include precise instructions on how to set it up on any wiki.